Welcome 2019 Solstice Flute School Students! ​To keep the School experience intimate and rewarding we must limit the number of students each year. We regret if you were interested in signing up. Please add your name to the wait list. We will contact you should a space become available! The School is filled but come enjoy the 2-day Solstice Flute Festival! featuring the Native American Style Flute. 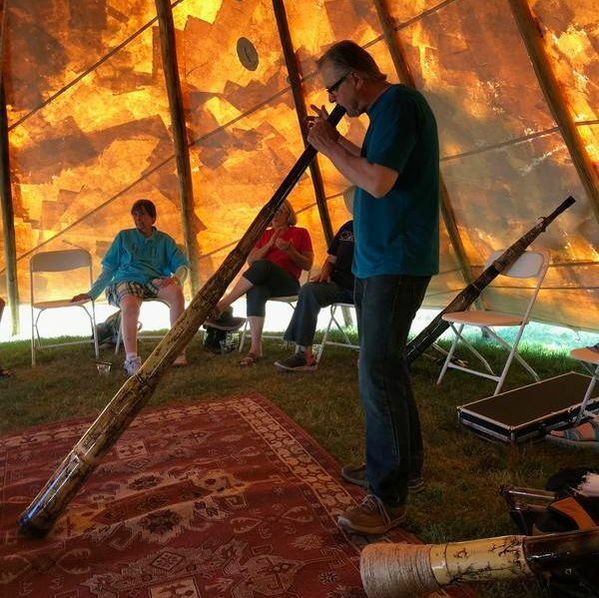 The Solstice Flute Festival is a 2-day community celebration of the Native American style flute. Live music. Performances. Workshops. Vendors. Free activities. Free evening concerts. Join music enthusiasts from around the country and celebrate the Summer Solstice ​in the beautiful Wasatch Mountains of Utah. Music surrounds all day starting with the Festival Stage featuring guest musicians and an opportunity to sign up to perform at the open mic. ​Each evening is capped with a free concert featuring internationally renowned recording ﻿artists﻿. Prepare to be uplifted, delighted and inspired! Register for workshops including "Ancient Wisdom Workshop", "Create & Rejuvenate", Shamanic Sound Bath, flute and drumming workshops, Native Storytelling, professional recording, and more. Space is limited; register early. Free activities include live music all day, demonstrations, drumming, and beginning flute lessons, to name just a few. The Festival schedule, will be updated as plans are confirmed; watch for ongoing updates! Selected vendors from around the country will be on hand to showcase Native flutes, arts and crafts, musical instruments, jewelry, and more. Learn more about vendors attending the Festival, vending opportunities and cost. Questions? Contact Paul Surhoff at festival@solsticeflute.org. Are you interested in Sponsoring an Evening Concert, the Festival Stage, or another Festival activity? ​We'd love to hear from you! Please call Nancy Haga at 435-513-5999 or contact us for more information. Internationally renowned artists – Kalani Das, Suzanne Teng, Rona Yellow Robe, and Joseph L Young, with special guest Will Clipman – present a fusion of musical influences celebrating the Native American style flute. On the front lawn at the Homestead Resort. ​Free; donations invited. Sponsorship opportunities are available! ​Shelley Morningsong and Fabian Fontenelle celebrate life and honor Native tradition with chant, dance and song on the front lawn at the Homestead Resort. Concert opened by Matthew Machu. Read more about Shelley and Fabian here. Free concert; donations invited. Hosted by the Homestead Resort as part of their Summer Concert series. Workshops are unique, fee-based experiences. See individual workshop descriptions for more information and pricing. Register early as space is limited. Contact us to learn how you can be a sponsor or make a gift. "Incredible teachers; nurturing environment. I travelled halfway around the world to attend and will definitely be back." Sign up to receive announcements to your inbox. The Solstice Flute School & Festival is presented by Where Passion Meets Purpose, a 501.c.3 nonprofit community-funded organization. 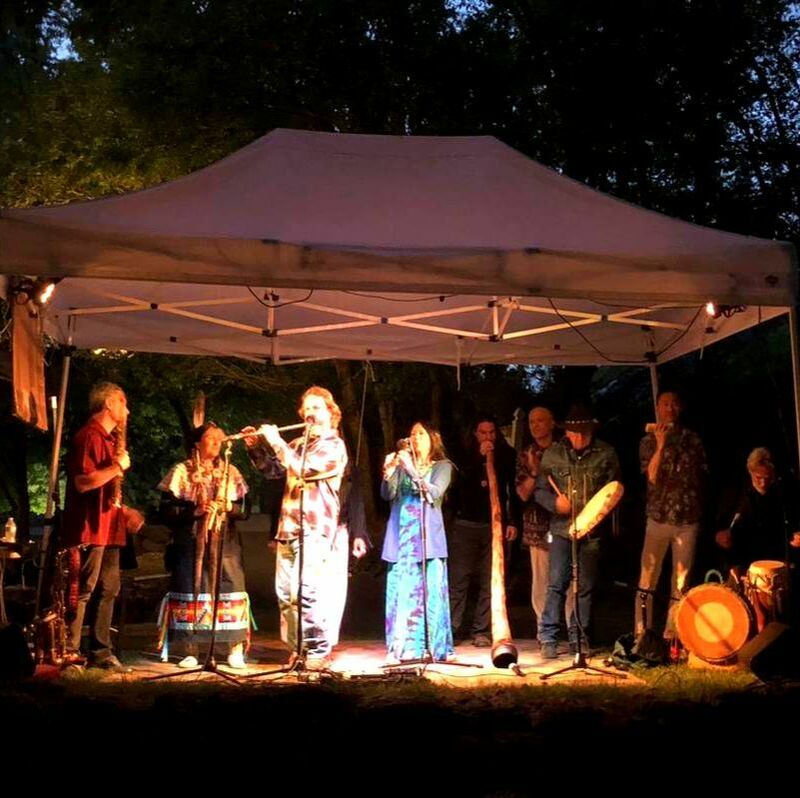 Our mission is to honor the tradition of the Native Flute, celebrate its voice, and share its healing power within a supportive, inclusive community. 2018 © SolsticeFlute.org. All Rights Reserved.